TenTen Review 2019: Is TenTen a Good Hosting? TenTen offers Linux, Windows, and SEO hosting packages to customers in Vietnam and the rest of Asia. Based in Vietnam, TenTen offers website hosting services, email and cloud servers, domain registration, and Cloud VPS services. 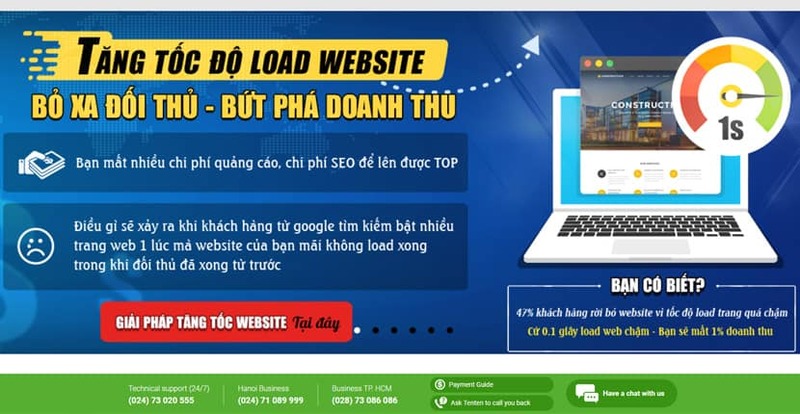 It is the topmost domain registrar in Vietnam and boasts some of the strongest and most secure servers in the country. Apart from serving customers in Vietnam, it is also a popular choice for hosting in some of the neighboring countries including India and China. TenTen ensures continuity of service by guaranteeing a server uptime of 99.9%. In addition to reliability, it boasts faster page load times and better search engine rankings thanks to the RAID 10 SSD hard drives used to store your data. The 30-day money-back guarantee lets you take time to see if the service is up to scratch. Users with multiple websites will love the packages on offer since most of the packages allow unlimited add-on domains. These unlimited domains are complemented by unlimited databases, email accounts, FTP accounts, and subdomains. Put simply, TenTen allows you to host as many websites as you want. A separate WordPress hosting plan makes TenTen popular among casual bloggers and small website owners, as does the website builder that caters to the needs of people with little or no technical knowledge. You might also like to know that TenTen announces its planned maintenance activities on its website, so you have plenty of time to create a local backup and you can rest easy regarding the performance of your website. TenTen offers nine different packages to choose from, both for Windows and Linux based accounts. Now, this might sound pretty overwhelming, so let me break it down for you. The most basic plan offers 1 GB disk space and 35 GB bandwidth, which I must admit is not particularly attractive for the price you pay. From there onwards, you can expect unlimited bandwidth but limited disk space in all the packages. The best you can get is 60 GB storage. The top three packages provide unlimited add-ons and databases, but they don’t come cheap, and you may well wonder if it’s worth paying the price considering you still don’t get unlimited storage. TenTen doesn’t do a great job of simplifying their packages, which may make it more difficult to carefully consider the costs to see how other web hosting companies compare. TenTen offers 24/7 technical support, while other (non-technical) support departments are only available during working hours. The only options are to make contact by phone or email. In short, TenTen is definitely not in the top ten providers for web hosting support. TenTen could do us a big favor by reducing the number of so-similar packages, thereby helping prospective purchasers decide between different packages and even different providers. The steep price rises for unlimited packages also adversely affect the potential purchaser’s decision-making process. Wondering how TenTen stacks up against other Web Hosting companies? Enter any other Web Hosting company and we will give you a side-by-side comparison.